Grocholl is known for their high quality potato products. Their made out of the waxy, yellow-fleshed potatoes from the Luneburg Heath, Altmark and Wendland. 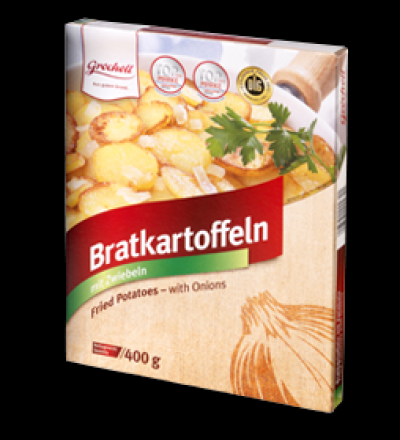 Currently carrying their Bratkartoffeln mit zwiebeln (onion) 14oz and their Delikatess-Kartofflen mit Knoblauch und Krautern (Garlic and Herbs) 14oz. GREAT PRODUCT!! !